Ducati India has launched its flagship adventure tourer, the Ducati Multistrada 1260 and Ducati Multistrada 1260 with introductory prices of ₹ 15.99 lakh (ex-showroom) for the standard Multistrada 1260, and ₹ 18.06 lakh (ex-showroom) for the Multistrada 1260 S. The introductory prices will remain for all of 2018 and Ducati is expected to introduce other variants at a later date as well, including the D-Air and Pikes Peak variants of the Multistrada 1260. The S variant gets a full-colour TFT instrument panel, electronically manged, semi-active Ducati Skyhook Suspension and top-spec brakes with Brembo M50 monobloc four-piston calipers. The Ducati Multistrada 1260 will replace the existing Ducati Multistrada 1200 range in India, and gets gets a new engine, new chassis, longer swingarm and updated electronics. "Eight years of Multistrada innovation has led to the production of this masterpiece, directed to expand every adventure enthusiast's comfort zone with its versatility," said Sergio Canovas, Managing Director, Ducati India. 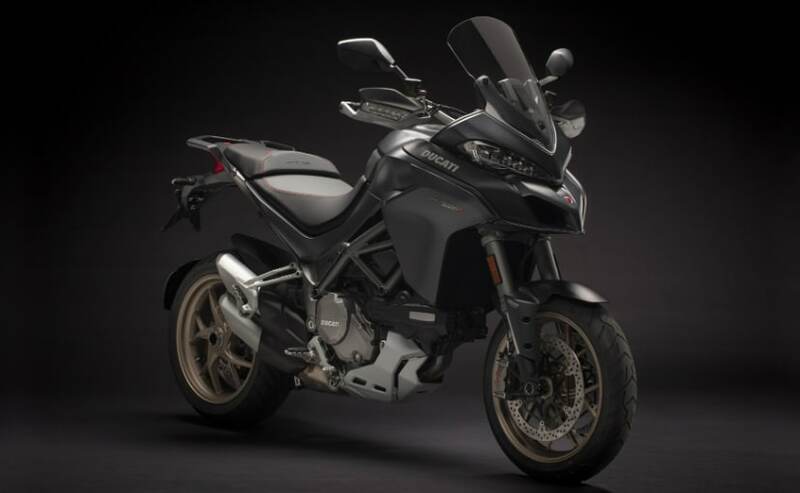 "The new Multistrada 1260 range is a consummate sport-touring adventure bike, designed for those who hope to ride greater distances and enjoy a good rev around twisty roads. The Multistrada 1260 and 1260 S is a testament to our commitment to bring the best of Italian design, engineering and performance to Indian roads." 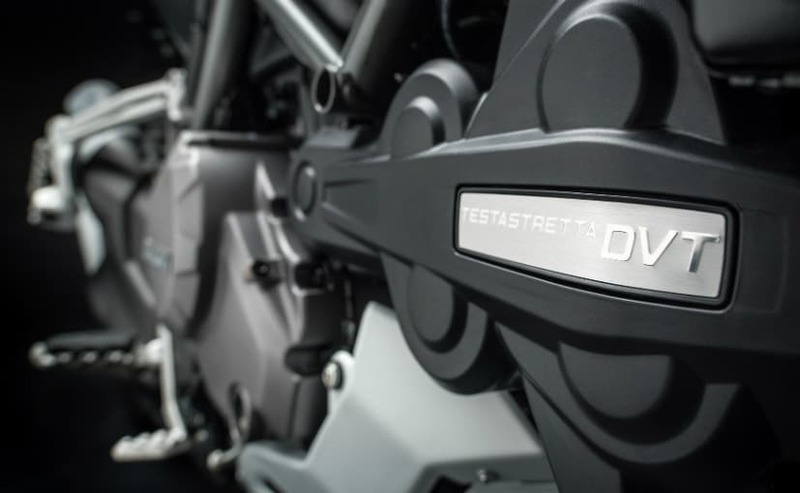 The Multistrada 1260 uses a larger engine with the 1,262 cc, DVT Testastretta engine which gets a displacement bump, more power and torque. The L-twin puts out 158 bhp at 9,750 rpm and peak torque of 129.5 Nm at 7,500 rpm. The engine is said to deliver better low- and mid-range torque, producing 85 per cent of its torque below 3,500 rpm. 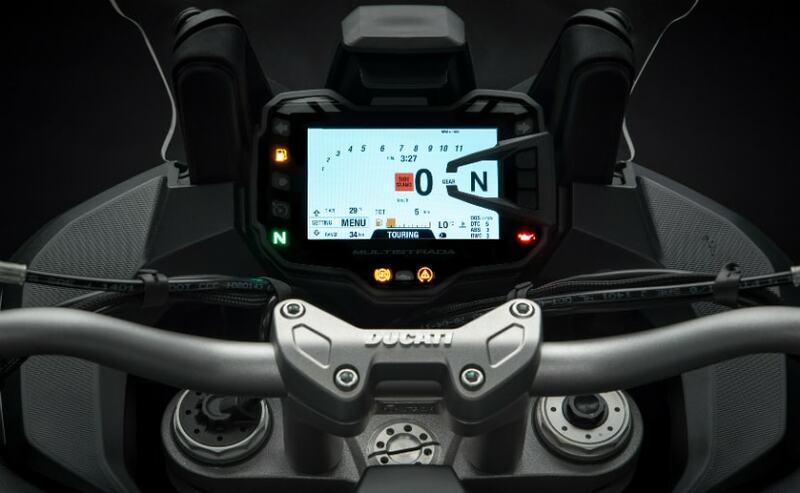 The Multistrada 1260 comes with a host of electronic rider aids, including ride-by-wire throttle, a Bosch inertial measurement unit (IMU) which controls the eight-level Ducati Wheelie Control, cornering ABS and traction control. The S variant also features the Ducati Quickshifter and cornering headlights. The Multistrada 1260 has an extended maintenance interval with oil changes required at every 15,000 km and valve adjustments at 30,000 km. The new Multistrada 1260 offers four riding modes in all - with Sport mode offering the full 158 bhp from the engine, Touring mode offering 158 bhp but a gentle throttle response, Urban mode with power limited to 100 bhp with traction control dialled up high. Enduro mode will also have 100 bhp and each mode has pre-determined settings for traction control, wheelie control and ABS. The Ducati Multistrada has an all-new chassis, boasting of high-speed stability and intuitive handling. The Multistrada 1260 also has the longest wheelbase in its class and lowest seat height. The Ducati Multistrada 1260 competes with the Triumph Tiger 1200 XCx and the BMW R 1200 GS in India. Compared to the Ducati Multistrada 1260's starting price of ₹ 15.99 lakh (ex-showroom), the Triumph Tiger 1200 XCx is priced at ₹ 17 lakh (ex-showroom), while prices for the BMW R 1200 GS begin at ₹ 15.70 lakh (ex-showroom) for the base variant. Bookings for the Multistrada 1260 are now open at all Ducati dealerships and deliveries will begin by the end of June 2018.